Deploying an IoT system at scale can be challenging - here are 5 tips to make it easier! The physical world is filled with valuable data, and the IoT (Internet of Things) is designed to help collect it. But deploying an IoT system to get to that valuable data can be a difficult process. Working closely with our customers, we at Thingsquare have installed thousands of IoT devices in every continent of the world, except Antarctica. Over the years, we have built up considerable experience in how to speed up and improve the rollout of a large-scale IoT system. When we talk about IoT systems, we mean large-scale enterprise installations that cover large spaces and consist of hundreds of devices in each installation, not single-device IoT-style devices for home usage. Fortunately, there are several options for bringing your own Internet connectivity to your IoT installation. 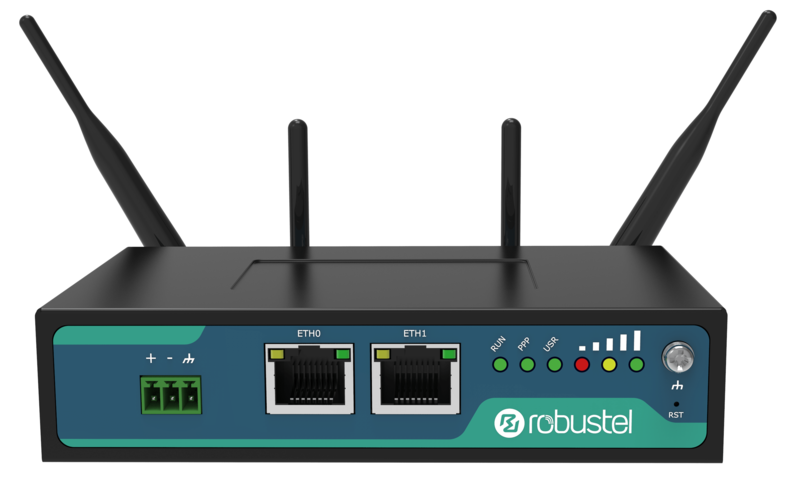 3G/4G routers are easily available, and several providers have data subscriptions with competitive prices that are suitable for IoT deployment. Internet access is important not only for the IoT devices themselves, but also for the people that are commissioned to install the IoT system. And just like Internet access for the IoT devices, Internet and WiFi access for the installation personnel may not be available. Also, if your IoT system is to be deployed in a location where you are not familiar — maybe a different part of the country, or in an entirely differently country altogether — your regular 3G/4G coverage may not be up to speed. Getting a known-good 3G/4G SIM card to be used during the installation is a good investment. The convenience and effectiveness that good Internet access will bring you will greatly overshadow the price for the additional SIM cards. Once your IoT installation is done, it is considerably harder to make changes. So it pays off to install more equipment than strictly needed. If you need only a single 3G/4G modem and wireless access point for your system, bring two of each and install them both. They may (and usually will) come in handy when things happen. And things tend to happen. For example, in more than one large-scale customer installation, we have seen that wireless access point be inadvertently disconnected from power. Often this is due to someone simply tripping over a power cable and missed to correctly connect the access point’s power plug. In this case, we had a secondary access point that we remotely could configure to take over the responsibility of the failing one. By preemptively installing more equipment than you think you will need, you reduce the risk of costly trips back to the installation site. And, if the IoT system supports robustness through redundancy like the Thingsquare system does, the additional equipment will improve the performance of the system, even when everything is going well and without hickups. Our recommendation is to always bring twice the number of wireless access points and wireless extenders if the installation place is difficult to get to. Planning ahead is obviously important, but being prepared to change the plan on the fly is key, as unexpected things tend to happen in IoT deployments. For example, in one deployment, the only available power strip for the wireless access point turned out to be high up in the ceiling – so high that a scissor lift was needed to reach it. The solution was to use the wireless access point from an adjacent installation, augmented with a wireless extender to get the necessary range. Unlike the other steps, this step is not that simple, but it really pays off: develop a smartphone app to assist the installation process. An IoT rollout is labor-intensive. There may be hundreds or thousands of wireless sensors, devices, access points, and wireless extenders that are to be installed. This installation is typically carried out by a team of people who may not be intimately familiar with the product and the data that is to be collected. To make matters worse, time is often a hard constraint. For example, a recent customer deployment with a large retailer could only be done between 08:00 AM and 08:45 AM because that was the only time the stores were unlocked but not yet filled with customers. Makes it possible to measure and evaluate the installation speed - maybe there are steps that could be improved? Without measurements it is impossible to know. If you are sure that everyone in the installation team will have either iPhones or Android phones, you can target only one platform. But in our experience, it pays off to support both iOS and Android. The approach we have taken in the Thingsquare system is that our native iOS, Android, and Windows apps have the ability to display custom-made HTML5 content, thus allowing rapid development of new app features without having to go through the process of the various app stores for each update. Thingsquare sells and operates a world-leading IoT system that customers use to gather valuable data from the physical world. The Thingsquare system is a full-stack system based on open standards that allows custom hardware and custom software, yet has unprecedented battery lifetime, while supporting very large-scale installations with thousands of nodes in each network. Our purpose is customer success.